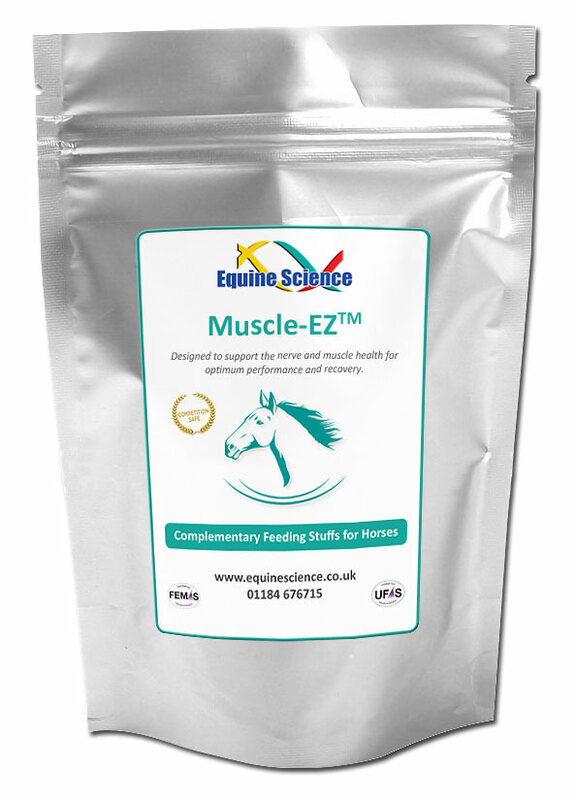 Muscle-EZ™ is formulated using a potent mixture of natural vitamins, minerals, herbs and amino acids and is designed to support the nerve and muscle health for optimum performance and recovery.Ideal for horse’s where muscle health needs additional support. Soy Flour, L-Arginine, Flax Meal, L-Alanine, L-Valine, L-Proline, L-Ornithine, Algae-Spirulina, Liquorice, Lecithin, Vitamin D3, Citrus Bioflavonoid, Milk Thistle, Ginkgo, Papaya, Cinnamon, Vitamin C, Cordyceps, L-Methionine, Ginger, Vitamin E, Turmeric, Ginseng, Iron, Himalayan Salt, N-Acetyl-L-Cysteine, L-Tyrosine, L-Carnitine, Schizandra, Zinc, Manganese, L-Glutamic Acid, Vitamin B6, Vitamin B12, Vitamin B5, Vitamin B3, Vitamin A, Biotin. 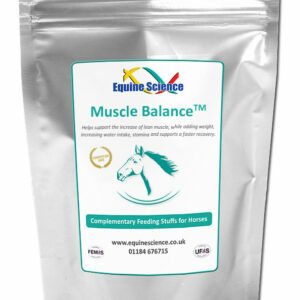 Composition: Soy Flour, Flax Meal, L-Arginine, Papaya, L-Alanine, Vitamin C, Cordyceps, L-Valine, L-Ornithne, Turmeric, Vitamin E, Horse Chestnut, Iron, N-Acetyl-L-Cysteine, Algae-Spirulina, L-Tyrosine, Zinc , L-Carnitine, Manganese, Himalayan Salt, Vitamin A, Vitamin B3, Vitamin B1 (Thiamine), Vitamin B2, Vitamin B5, Vitamin B6, Lecithin, Vitamin D3, Biotin.